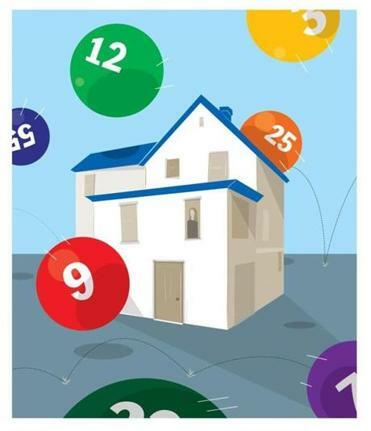 My husband, Dana, and I won our first home in a lottery. We were in our mid-20s with a 9-month-old son, an apartment full of secondhand furniture, and so little cash that we’d temporarily given up buying coffee after agreeing that it was a luxury. In three years of marriage, we’d moved six times to find something more affordable on his income making pizza while working his way through college and mine as a writer. With much of my time going to care for our son, our dream of buying our own home vanished along with a good chunk of our income. Then, a few months later, in the summer of 1997, I saw a darling, century-old New Englander for sale in our Midcoast Maine newspaper. Along with two other houses, it was being sold for half the fair-market value by the Bath Housing Authority, which had received them from the Bath Iron Works shipyard following a legal battle with angry homeowners after the discovery of an illegal neighborhood dump. After cleaning up the land, the shipyard bought and donated several homes to the local housing authority, which fixed them up and held a lottery to resell them to income-qualifying families. Our family fell just under the limit. On the day of the lottery, Dana and I nervously joined several dozen families in a stale conference room as a Ping-Pong-sized red ball was assigned to our name. We watched it, along with the balls of other hopeful homeowners, whirl through the air in a machine with a plastic dome that resembled an electric popcorn maker. One ball shot down the spout. It was ours. For $46,000 — less than $400 a month, including taxes — we moved into our first home one week before Christmas. Yes, Virginia, there is a Santa Claus, I thought as we set up our son’s crib in one bedroom and my office in the other. The third bedroom was ours. The upstairs bathroom was so small that you could take a shower, brush your teeth, and relieve yourself all by standing in one spot and turning around. But it was ours — all 1,200 square feet and a half acre in Maine’s smallest city — and we loved it. Over the years, we welcomed five more children, including Ruth, a daughter with cerebral palsy whom we adopted from Uganda. Dana built two rooms, hauling every concrete block and board up the 12 steps to our front door. We also added a ramp (cleverly disguised behind a white picket fence) and renovated a dilapidated shed into my office so that I could keep working at home. The children built forts in the woods and sledded down the hill behind the house, narrowly dodging trees, and played in the seasonal stream that edged the property. As they grew, we squeezed around one another in the 200-square-foot combined kitchen and dining room, wondering how much longer we would fit. With our oldest son preparing to commute to college and Dana’s job now with an engineering firm 30 minutes upriver, it was finally time. In August, we put up a for sale sign. I wasn’t dying, but a part of me felt like it as I hauled outgrown items to Goodwill and thought of leaving this home and the many blessings that God has brought us through it. Two months later, we had an offer from a family buying their first home. They have four children and one on the way, and the closing is just before Christmas almost 18 years to the day after we moved in, reminding me that the greatest gifts are meant to be shared. Meadow Rue Merrill is an editor, speaker, and award-winning writer who works from her home in Midcoast Maine — although she is not yet sure where the next one will be. You can find her at www.meadowrue.com. Send comments and a 550-word essay on your first home to Address@globe.com. Please note: We do not respond to submissions we won’t pursue.